Author Seamus McGraw discusses The End of Country and the conversation he hopes it inspires. 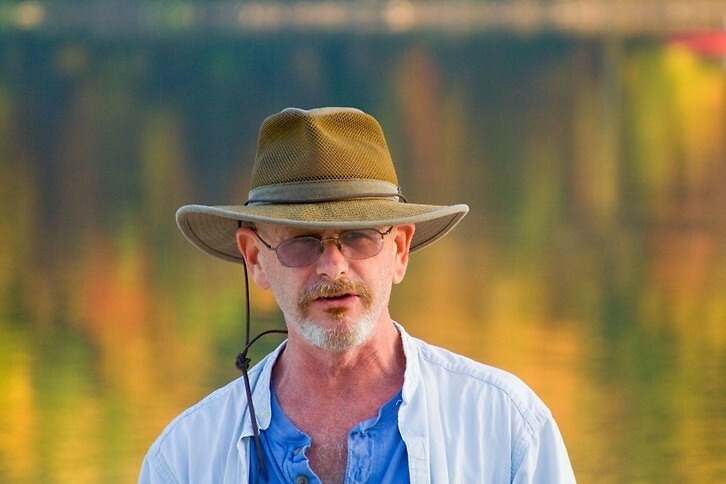 Seamus McGraw is an investigative journalist and the recipient of a Freedom of Information Award from the Associated Press Managing Editors. 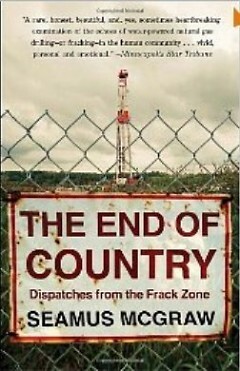 The End of Country, Dispatches from the Frack Zone (McGraw's first book) is the unsettling story of the conflict in Susquehanna County, Pa. that pits petrodollar billionaires against the locals who want to get their fair share of the windfall and try to also protect their values and way of life. Michigan Land Air Water Defense (MLAWD) a Barry and Allegan County group hoping to protect state forests and recreation areas from oil and gas development and the water extraction that comes with it, hosted McGraw's speaking engagement. My interview with Seamus McGraw begins with a question he poses: What do you know about fracking? I tell him. First, they drill vertically to a target layer. I name a few of the deep shale layers being fracked in Michigan – the Utica-Collingwood, the A-1 Carbonate – which they then drill through horizontally. But he stops me. “Okay. Stop right there,” he says. When we first discussed the book, I expressed my admiration for the way he lets each character appear on the page. He gets out of the way and presents everyone – the landmen (and the occasional woman), the drillers, citizens-turned-watchdogs, the sometimes desperate, sometimes ambivalent land owners who lease their land – with respect and compassion. The result: A book that reads with a deep sense of empathy and complexity, driven by McGraw’s refusal to paint any simple pictures of how the nation came to understand the risks of fracking when drinking water wells in Dimock, Pennsylvania, just over the hill from McGraw’s home, became contaminated with methane. “Anyone who tells you that this process doesn’t carry real, achievable benefits – most of them utterly unrealized at this point – is either uninformed or purposefully misinforming you,” he says. Already there were nagging questions…We could discuss the risks posed to the environment by the drilling, we could debate the question of whether we as a family, as a community – hell, whether we as a nation were up to the challenge of policing such a sweeping and monumental operation. […] …it was already becoming clear that the federal agencies charged with overseeing the gas industry had all but abdicated their responsibilities, and there were grave questions about whether the state had the will or the means to take up the slack. McGraw addresses the eternal conflicts of leasing. “I still feel hinky about the money,” he says, and, in journalistic terms, he makes full disclosure. That, and the fact that the two wells now on his family’s property are producing and creating a steady income that his writing career has never offered. McGraw prefers to think of The End of Country, not as the end of his writing process, but the start of a longer, wider conversation. In the process of meeting the people of Dimock who people the book, in the aftermath of our country’s struggle with conflicting messages about the economy, about natural gas as a green or bridge fuel, about regulations designed to make fracking “safe,” he worries that the real conversation we all need to have is stalling out. Though McGraw is not about to tell the audiences he speaks with what is the “right” thing to do, he does offer “in a state like Michigan or Pennsylvania, we need to turn around and create regulation that operates on the principle that the industry operates on greed.” Corporations are not people, he argues, they’re machines, and they’re in business to make money. We need to exploit and speed up changes that are still too slow in coming, changes in formerly rock-solid positions that he sees geologists, drillers, regulators and environmentalists experiencing as a search-savvy public exerts more and more pressure. In short, we need to stop ignoring or denying what really matters. The climate clock is ticking as loudly as the drill bit when it screeches and grinds into stone, and one of the ways we might approach this stage in our fossil fuel development is to make it what it really needs to be: “a really wide, really short bridge” to a carbon reduced future.